Nana and Grandad sent Ben the Octonauts Octopod today. 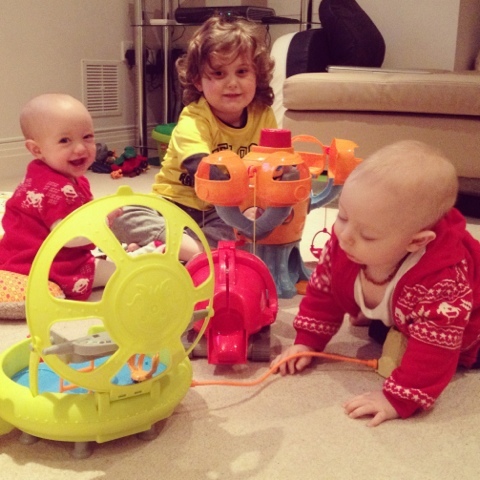 It has been such a massive hit with Ben and the twins, I love it. Ben has been really good sharing his Octonauts toys with the twins too. In fact I think he's delighted to have his little brother and sister to play with him.